I guess that most people would like to take music as an important part of their life. It is fair enough to say that music has a marked impact on your mood. It can calm you down when you are sad or angry. Needless to say, music livens up our life. Audiomack is a place you can download and enjoy music for free. It brings free songs and albums with high sound quality to you. 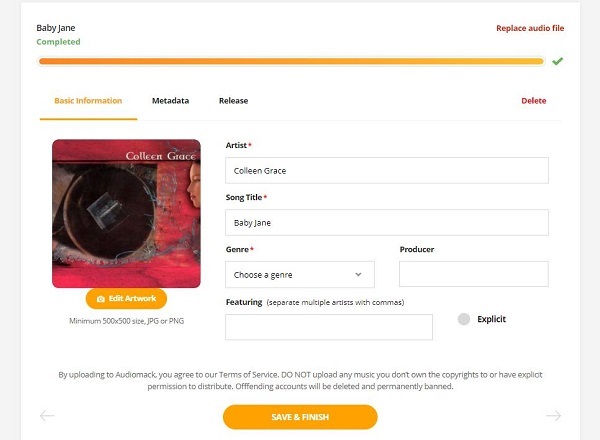 Now I will give you a basic idea of Audiomack and show you how to download music from Audiomack. 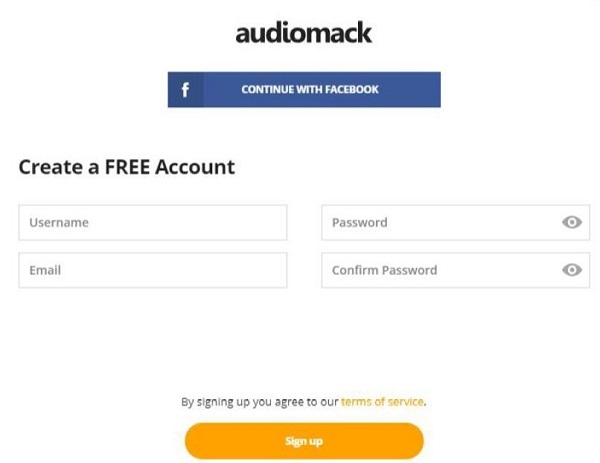 You can get unlimited free storage on Audiomack if you sign up to it. No matter how many songs you would like to upload, it is just a piece of cake. Let’ get started to see how to upload a song on Audiomack. Step 1: Go to Audiomack. Click "Sign up" in the top right corner. Step 2: Fill in the blank of Username, Password, Email and Confirm Password. Click "Sign up". Step 3: Click "Upload" in the top right corner. Select the upload type and then choose "NEXT". Step 4: Then click "BROWSE TO YOUR FILE" to add your music file or just directly drag the file to the area marked in a dotted frame. Step 5: Wait until scrolling is over. Step 6: Edit the tags of your music and then tap "SAVE & FINISH". Leawo Music Recorder is a powerful music recording processing tool, which allows you to easily record all kinds of music online without quality loss and save them in MP3 or WAV format directly. You can record computer audio too. If you are a big music fan, you would definitely love it. Music Recorder is overwhelming, which means you will have absolute control over or access to every music you like if you have it. The user interface of Music Recorder is absolutely handled easily, even if the person running Music Recorder is a beginner. The interface of Music Recorder showing in front of you does not include some cold icons which are hard to read. It is intuitive and simple to use. 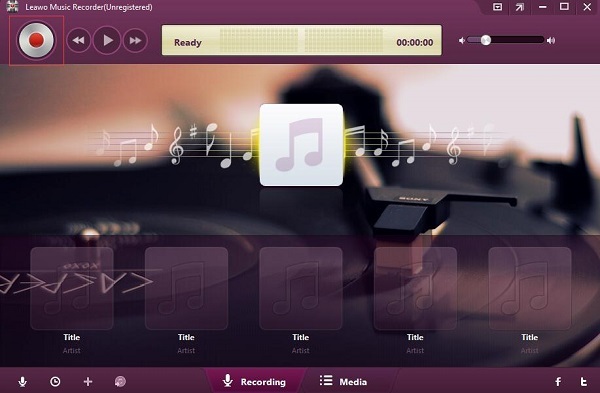 You can definitely get the most out of Music Recorder with this clear interface. You can try the trial version to experience all the functionality of the permanent version, and then make a decision if Music Recorder can be your best choice ever. I think the answer would be a big "Yes". Now let me show you the steps of downloading music from Audiomack via Music Recorder to make you briefly understand how amazing it is. Simply download Music Recorder and install it on your computer. Now you will be amazed at the powerful functions Music Recorder can bring to you. Double-click the icon to open it. Click the recording icon in the bottom left corner and you can see a pop-up window appearing with more settings. Now choose "General". Tap the folder icon marked in a red frame to select the file you want to save on your computer. Move the mouse and click "Audio Source". Check the box beside "Record Computer Audio". Choose "Format". In the drop-down menu below, select MP3 as the output format. Plus you can set the Bit Rate and Sample Rate in Audio Setting. Then click "OK". 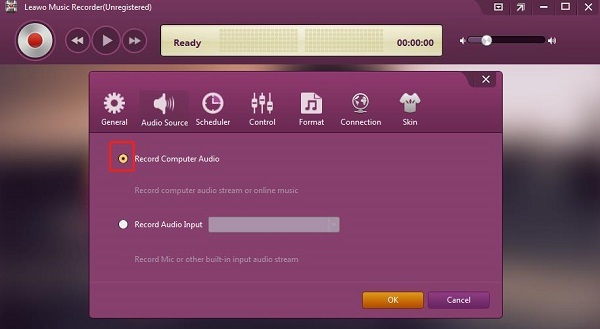 Click Recording icon which is marked in red frame and play the music from Audiomack. Then click the Recording icon again to stop it. Tap "Media" at the bottom. Choose "Library > All Recordings" in the sidebar to show all of your recordings in the right area. 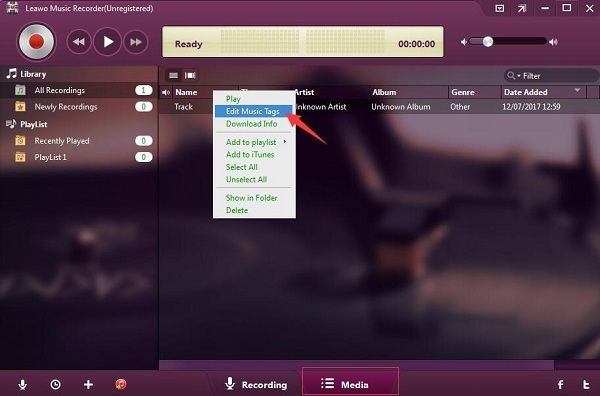 Right-click the item you just recorded and choose "Edit Music Tags" to personalize the information of your music. Right-click the selected item and choose "Show in Folder" to simply find your music. Simply and efficiently. I can’t wait for you to try it out and you would absolutely love it.